Producing a web game should be easy, shouldn’t it? This is the internet. We can measure everything. We don’t have to guess how our game will be received after launch – it has already been launched, and so on the internet we can try something, measure the results, and then build on that, using the data as our guide. Iteration is the key, and data will unlock the secrets of the players’ deepest desires! Apparently. That’s a lovely theory, but in practice it just doesn’t work like that. For one thing, what data do we look at? Do we look at the quantity of forum posts and chat relating to a tournament to see how much interest it sparked? Or do we look at this qualitatively, reading everything the players say to see what they like and don’t like? Or do we measure increases in log-ins to see if people are playing more often as a result of the tournament? Or do we measure the number of military units committed to a tournament, using troops sent as a proxy for interest in the tournament? Or do we look at Prestige spent, seeing if people spend more during a tournament? The reality is that we measure all of those things. And once we have the data… it is all completely contradictory. 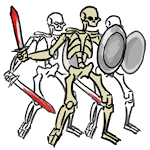 For example, based on what players have said, qualitatively, the most popular tournament we ever ran was the Undead Horde tournament in spring 2012. We arranged the players in leagues based on size and had them compete to seek out and fight off waves of undead – and anecdotally, it seems that everyone loved it. But in reality the data contradicts that. It didn’t get people to log in more, people weren’t interested enough to spend Prestige – all of the statistics say that it was our least engaging tournament. Nor can we just pick one data point and run with that. We can’t say “Prestige spend is the one true measure”, because we want everyone to love the game, whether they use Prestige or not. We can’t say “what matters is how often people log in”, because then grinding tournaments look like a success, but might just irritate people (such as with the Bloodthirst for Knowledge tournament back in 2011). And when we’ve taken all of that insight on board we cannot, as the theory would suggest, just repeat and tweak a winning formula – because our players will get bored with the same old thing. In reality we can learn from what we’ve tried in the past, but the focus has to be on building something new, based on a set of principles as much as on the data. So, with the current Champions Return tournament we have taken on board what the players have said and done in past tournaments, but our starting point had to be more theoretical. Illyriad is an open world, where fledgling rulers and mighty veterans rub shoulders on the same map. We need tournaments where the big players can feel challenged – where their huge, carefully optimised cities can really show their worth. But we also need new players, with just a couple of settlements and few hundred basic troops, to be able to get involved. In the case of The Champions Return, we’ve done this by providing three types of overlapping objectives. For the huge Alliances, where dozens of big players are chafing to show their superiority, there is a global leaderboard. There can be, as the movie said, only one. And the glorious victor gets a permanent statue on the game map memorialising their achievement. For the medium sized Alliances, there are also regional victories. So, if an Alliance has no hope of defeating all comers, globally, it can still prove itself king of its own local hill. Thirdly, for individual players, there are medals to be won – and although these are for individual achievements they can be won with the help of larger players. Even a tiny player could, in cooperation with larger alliance mates, win a medal. This allows people to pick their own difficulty level. For example, a medium sized Alliance might say “we want to win our local region, and make sure that all of our members get a medal”. A small alliance might decide that they’ll be delighted if just one of them can pick up a medal. 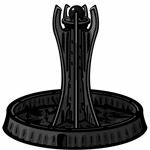 A really big alliance might disdain the medals, and focus only on the big prize – only three Alliances have ever won an Illyriad tournament, so this is a worthy challenge for ambitious players. And of course all of these goals over-lap. A big Alliance seeking global victory will be competing locally with guys who are just fighting for their regions. A small player who just wants a medal can usefully join and aid even a veteran Alliance – they help him get his medal and his win counts towards their score. So, the current tournament should allow people to pick their own goals, and win glory appropriate to their ability and strength. We will look at the data in the end, of course. But we can’t start from the numbers and somehow hope that a tournament can be created from a mathematical model. We have to start, as we always do, with thinking about building structures that players can have fun exploring. When the statistics for Illyriad’s troops were first created, Elgea was an empty place. 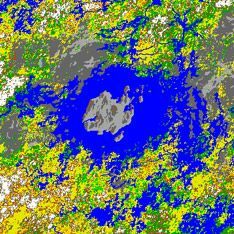 No cities, no players – just an empty map, and the hope that in time many players would come to this new land and start building their empires. So, when the statistics were created, the vision was for a world where people were building up their towns, and maybe vying with each other and skirmishing as they went. And you can see that from the way that the troops stats are balanced: the toughest units take time to unlock, and then make hefty demands on a town’s production capacity, but in the end a few super-units are the out-and-out favourites. To understand why these super-units rule the battlefields of Elgea, it’s necessary to look past the apparent stats (movement, carrying capacity, defence against bows, defence against spears and so on), and look at two vital stats which are not actually listed. To many of Illyriad’s more analytical players this is no revelation – some people have built spreadsheets to calculate these numbers – but to more casual players these numbers may not be obvious, so let me explain…. The key numbers are strength relative to gold upkeep, and strength relative to time required to build. Strength/gold is the power of your army, relative to the amount that you can afford to spend on their upkeep. During peacetime this is a vital number, as it defines the power that you can maintain without running a financial loss. Strength/second determines the speed with which you can build up again if you suffer losses. In a protracted war or a tournament this is key, as it determines how fast you can bounce back, and determines your staying power in a war of attrition. 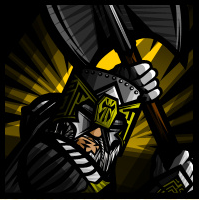 At the moment, the highest attack/gold and attack/second stats are both the human Knight – with 16.25 attack/gold and 0.0406 attack/second (unmodified by Barracks or Sov). Meanwhile the best defence/gold and defence/second stats are those of the Elven Trueshot. And this is why many players say that the humans and elves are the most powerful races in Illyriad, and why most human players build Knights and elves build Trueshots. To be clear, there are other units that are worth building. 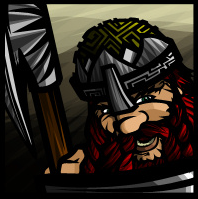 When we introduced equipment we made sure that Elite dwarven infantry became fearsome (correctly equipped elite Stalwarts have the edge over well equipped Elite Knights, in terms of attack/upkeep). Basic cavalry – especially the elven Swiftsteed – are handy for getting to a fight fast. Orcs have the unit with the best defence against cavalry, their Guardsman. But the overwhelming choice for most players is to go with the weight-of-numbers favourites, the Knights and Trueshots. In a game where most people haven’t yet got the researches or Barracks or resources to build these units, that is fine. But now that Illyriad is well established, for the most powerful players concerns over researches and resources are a thing of the past. They have the researches they need, and have set up their cities to pump out the resources that are required. This is, if not actually a problem, not as interesting as it could be. So, the time has come to rework some of the units stats. Now, we have not taken anything away from people – no unit is going to become weaker. And we haven’t changed any combat strengths, nor change the resources required to recruit troops. So, peoples’ build strategies will still work just fine. But we have changed one thing – and we have changed it radically. We’ve reduced the build times for some of the weaker units. 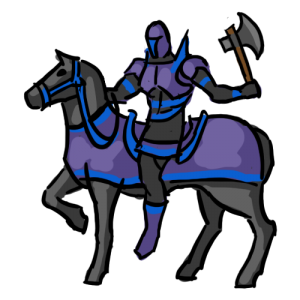 Knights, Trueshots, Marshals, Death Packs and their ilk will be unaffected, but many of the weaker units are faster to build… and in some cases they are much, much faster. Of course Knights will still have the supreme attack/gold ratio. And Trueshots will still have the best defence/gold. But completely different units now have the best strengths per time. So, with a reduced build time dwarf Stalwarts now have a better attack/second ratio (0.0438) than Knights (0.0406), and the best unit for overall defence/second will now not be the fearsome Trueshot (0.0273) but the humble orc’s basic spearman (0.0291). And because the changes are quite detailed, we’ve ensured that most of the units available to a player have a single overall advantage. 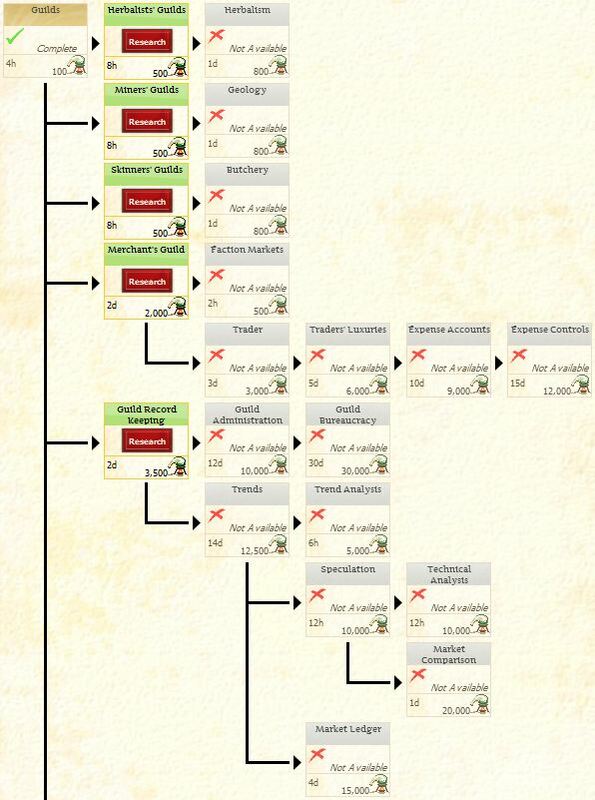 Thus, for an elven player, the best defence/gold is the Trueshot and the best attack/gold is the Marshal, the Swiftsteed provides the fastest movement speed, the Phalanx has the best defence/time if you’re looking for defence versus cavalry, but the Sentinel gives the best defence/time against other unit types, and if you want average strength/time then you should go for Wardancers…. So, no longer is the Trueshot the inevitable choice for maxed-out military Elves. And the picture for other races is similar. Orc Fangs and Cohorts suddenly become attractive, dwarves don’t just benefit from faster swordsman production, and humans may start to be tempted by Men-at-Arms and even Archers. These production speed changes will give a much broader range of options for all races, and should provide much greater strategic choice in a game where power now resides with fully formed cities. As we continue working on the Broken Lands expansion for Illyriad, it has been really nice to take some time out to look at all the names suggested by Illy’s players for the dark tower of evil at the heart of the Broken Lands. Absolutely not Black Skull Horde. Sorry, guys. Much as I chuckled to see the relentless march of orc humour on the forum, how ever many times you suggest it, we can’t oblige you. Ultimately, this is going to be the brooding heart of evil for a continent where people will be playing for years, so we have to go with a name that really works in that context. The name has to say something about the world, what has happened historically and what may now happen in play, and it has to resonate with players who may not be familiar with the current Horde’s particular sense of humour. Likewise, we had to drop a lot of other names that we immediately responded to, emotionally. Sparky Sparky Doom Doom Tower genuinely made me laugh out loud, but sadly we can’t go with that. Likewise, Durcamroth was one of several moving tributes to past players, but we have to go with something that fits the context first and foremost. This still left us with lots and lots of very cool names to choose from, and I applaud the creativity of our players! Darkhaven Spire, Moonholme, The Sunderspire, Fel-Flame Tower, Kangax Drugis, Spire of Bleak Beginnings, Blacksilver Keep, Doegun… the list of cool names just went on and on. But in the end we decided to go with something that spoke not only of past catastrophe (as the Bleak, Tarnished, and Sundered suggestions did), nor of betrayed hope, but also something which looked to the future – something which hinted at further horrors that might be unleashed on the world – and, of course, on our players! Even here we had several excellent options to choose from. But in the end, one stood out. Just four letters, full of dark menace, heavy with promise of some future evil – genius in its conciseness: Omen. The last month has been something of a geek-fest for Illyriad’s developers. Between GDC Online in Texas a couple of weeks ago, lots of games industry chat at the Game City events in the UK, Extra Life last weekend and then the Geek Media Expo in Tennessee this weekend, we’re happily talking code, design, and the joys of Illyriad to anyone who’ll indulge us, and having a whale of a time. And it was great that today we got two nods back from the rest of geekdom. First, our very own GM Cerberus had a logo design for Slashdot featured. To celebrate, as they put it “15 years of News for Nerds” Slashdot invited readers to submit redesigns of their logo, with selected submissions featured for one day in October. Cerberus’s design has been selected to appear today. It weaves together the conjunction of Saturn with the Sun, a font inspired by NASA, and some astronomical history – and in case you miss it on Slashdot, we’ve grabbed an image from their site, which you can see here. Second, today we found ourselves prominently featured atop Google’s Chrome Web Store. You can see the banner below. We’d like to heartily welcome all of the new players who have joined us from the Chrome Web Store. So, congratulations to GM Cerberus for impressing the folks at Slashdot, and many thanks to everyone at Google for featuring Illyriad. All of this is based on the idea of people needing and wanting different things, and having different things. In Illyriad today, all settlements can make everything if they choose to do so, so there is nothing that you cannot make for yourself. On the other hand there is nothing that you have that is useless to you. Everything you want, you can get through manufacturing, with little need to trade. As a result, trade in Illyriad today is fairly limited. Imagine if you awoke one morning to find that you had, near your towns, a mine and a patch of woodland where you can gather rare gems that are useful in magic. Now you don’t need to cast that many spells that often, so you can easily have more gems than you need. You could stockpile these, but you could also sell them. 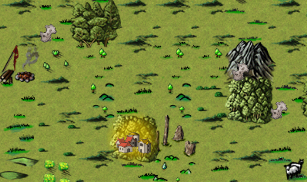 Now, you may want to defend your new-found resources, and you may want your spearmen to be able to defend well on both mountain (mines) and forest (woods) terrains; so, you may decide that to help your troops do this better you would like to equip them with defensive spears whose manufacture requires a rare metal from the far north. Now suddenly, it is worth you getting involved in trade. You have something that magic-using cities want, and you would quite like some of that northern metal. And in order to buy these unusual items you will now have access to a specialist market – found at your nearest Faction Hub. The result is that you have lots of choices to make. Do you use two building plots in order to gather the herbs and minerals? Do you sacrifice a plot to make those superior spears, or would you rather just pay extra for the finished spears and let someone else do the manufacturing? And for the actual trading, do you rely on players who have specialised as middle-men, simply Accepting the sell orders that they have placed in your local Faction Hub, or do you maintain your own specialist trade units in order to access distant Hubs and place your own trade orders? When all of these extra resources are in, you will still be able to produce everything that you absolutely need. Iron, wood, food, and so on, everything a town requires, will still be produced in your towns. But now, you may find yourself with a shopping list of other things that you want, and you may also find yourself with the ability to gather or manufacture things that you don’t need but other people want. Different players will react to this differently. You could, if you wish, fill your town with specialist crafting buildings to make troop equipment. You could completely fill your town with gathering buildings (though you’ll want to keep a slot for a market to ship the goods out, and very few people will have access to large enough quantities of resources to get a benefit from that many gathering buildings). And you might consider giving two or more plots over to trade buildings. Or, of course, you might decide that some or all of your towns have other functions, perhaps preferring to dedicate all your town slots to the advanced magic or military buildings, leaving all the gathering and manufacturing and trading to others. Your choices will depend on the stage of your town’s development, what new resources you happen to have near by, and what style of play you prefer (military, magic, gathering, manufacturing, trade). The result of different players making different decisions will be that their town buildings will become highly varied, and that their settlements will be producing and consuming different goods. For players who want to trade that means plenty of new opportunities. And for everyone else that means lots of choice in how to build up your cities. Our last blog piece happened to mention Obsidian Mines. Obsidian Mines are unusual and I’ll get to explaining them in a minute. But first, let’s start with something easy, Silverthorn. So, lets imagine that after harvesting is in the game, you log on to find a herb patch next to your settlement. (There will be herb patches all over the map. Lets assume you are lucky enough to have one on your doorstep.) You send scouts out to see what it is, and they report that it’s Silverthorn. You build a Herbalist’s building, and recruit appropriate gatherer units. You send the units to the patch, and if they aren’t interrupted by someone else’s units, after a while they come back with the herbs for you. In terms of game mechanics, that’s pretty simple. It’s like sending out caravans to gather from the map, except you’re sending Herbalists, not Caravans. But what do you do with your Silverthorn? This is not a herb you will need every day. It isn’t used for weapon making, and you probably only want to use one piece every couple of months, at least in times of peace. There are 80-90 patches of Silverthorn on the map, each potentially yielding two dozen pieces of Silverthorn herb each day. So what do you do? You could share the patch with all your neighbours, and let anyone harvest when they wish. Or you could put an army on the patch, reserving your spot and farming more of the herb every day: you might want to sell the herb on the market, or you might become your Alliance’s supplier. 80-90 patches sounds like a lot, but it’s still less than one patch per active Alliance in the game, and every Alliance is likely to want a supply. And of course, you could destroy it, or an enemy could. It’s a herb patch – a growing thing – so if you just take some, it will grow back, but if you take every last piece of the herb then you have destroyed the patch. The game mechanics are fairly simple, much like caravans. Where it gets complicated is that we hope to have nearly 30 herbs on the map by the end of the year, around half in the first gathering release. So lots of people will have access to herbs that others need, and everyone will benefit from herbs that don’t happen to grow on their doorstep. The complexity is not in the mechanics. The complexity is in the questions it raises for the players. What do you do with a rare herb? Share it, sell it, give it away? What do you do if you would get an advantage from having a herb that isn’t available near you? Beg, buy, steal, or go without? And in addition, where animals are slain patches of Hides, including rare animals parts, will be left behind (as in this image). And there are also minerals. Which brings us back to Obsidian. Obsidian is a mineral, not a herb, so can’t be eradicated by over-farming. Its deposits are fixed on the map. There are not many deposits, and they are all in a fairly narrow geographical area. Its use is in weapon making: if you build a specialist Armourer or Weaponsmith (new buildings introduced with the harvesting release) and dedicate them solely to making, say, Obsidian Blades (swords) or Obsidian Platemail, then you could consume hudreds of pieces of Obsidian each day, which would require an Obsidian mine to be operated on an industrial scale. All of this makes it much more complicated than Silverthorn. When gathering goes live, with the gatherer buildings and units, herbs and minerals and animal parts, and specialist weaponsmith and armourer buildings, it may look rather complicated. But the result will be profound. Players will have different special resources available to them, and lots of choices in what to do with those resources. From time to time we’ve seen the players discussing, and indeed have discussed ourselves amongst the dev team, which troops are ‘best’. Is it Knights for their fearsome attack? Is it Trueshots as excellent all-rounders? Of course in most cases, the best troop type is the unit best suited to the task at hand: neither Knights nor Trueshots fare well when defending in forests, for example. But pretty soon, this answer will change. It will not just be the unit type best suited to the mission, but also the unit which is best equipped for the mission. Enabling players to pick a unit’s equipment is an obvious step for Illyriad. We have always said that we want players to be free to do as they please in the world. And as most players enjoy their armies, we wanted to let them develop those soldiers to suit their own objectives and playing styles, with a variety of possible strategies. Thus we are developing the equipment system (what we are calling Crafting v1) to give players this freedom. Different players may choose to approach this equipment in a number of ways. Which of these many approaches become popular is up to the players, and we wouldn’t presume to guess how they will make use of the available equipment. Some players may invest heavily in giving small Special Forces type units the absolute best equipment. Some players may collect only cheap equipment, or none at all. Some may hoard a single type of gear, so that their huge army becomes honed for one very specific role. Some may collect a range of weapons and armour, so that they can react effectively to any challenge. There is no one best way to use this gear: it’s up to the players to explore the possibilities. What equipment is ideal will also depend upon the exact mission, as well as a player’s strategy. For example, when sending your Dwarven Halbardiers to defend a neighbouring settlement from an unexpected attack, you may want them to carry lighter than usual equipment so that they can get to their destination as fast as possible, before the attack strikes. 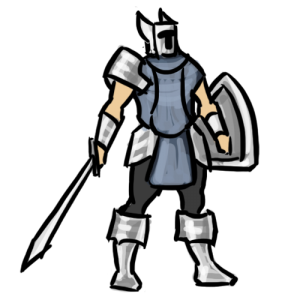 If they are to defend a wooded tournament square, then perhaps you want them to carry only shorter spears and armour adapted for woodland combat, so that they get bonuses based on that terrain. 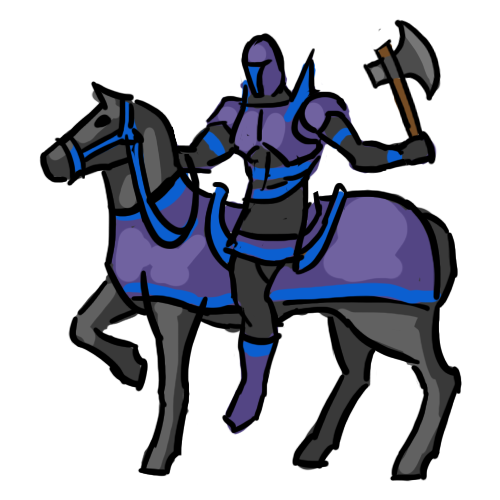 If you want the same units to defend a nearby Obsidian Mine, then you may want really heavy armour that gives a bonus in defence and Pikes to fend of cavalry raiders, and as the troops won’t move often you won’t much care how much this bulky equipment slows their movement. And so on. Obsidian Mines? Ah, yes. Not all of the weapons and armours will be made from common iron. And these rarer components will have to come from somewhere. So, the map may soon come to include Obsidian Mines, amongst other things. That, however, could take quite a while to explain, and for now I have descriptions to write for 26 specialist swords. So the question of mining will have to wait until another day. Having noticed animal populations moving around the map (wandering, breeding, dividing, sometimes fighting), players might reasonably expect that more NPC movement is in the cards. So, as developers, we should ‘switch on’ all NPC movement now, right? Well, before we are able to do that, there are a lot of things to consider. As an example, take a look at the fellow on the right. In fact, just look at one detail. Look at the length of his legs. Realistically, the rider’s legs are too long. So, the legs should be shorter. On the other hand, there is a tradition of showing riders out of proportion to their horses, and for very good reason: the Bayeux Tapestry for example shows riders whose toes seem almost to scrape the ground, but this is no error; showing the horse relatively reduced is a way to show more detail on the rider, and in a game like Illyriad, where the unit images are often very small, we want people to be able to see the rider clearly. So, the proportions are about right. But on the other hand again, our players will not be looking at the images as art historians, they will just see that the legs are too long. But then, perhaps there is a compromise…. That tiny detail took effort to talk through. It was an issue that we had to settle, so it required time. But in the grand scheme of NPC movement, it is a tiny detail – and just one of many tiny details. The whole process of ‘switching on’ broader NPC movements is a mass of tiny decisions, ranging from whether NPC cavalry would roam further from their homes than infantry, to whether Wulpor have preferences for what meat they eat, to whether Faction armies might intervene in sieges, to whether the perpetually-stoned Gnolls of Illyria would show intelligence in their battle tactics… and on, and on. What sounds like a very simple goal, ‘switch on more NPC movement’, becomes a maze of these tiny decisions, which all need to be made. But we’re working our way through them. The devil is in the details. And so is the fun of developing the world of Illyria. Old style game development (like boxed console games) can be a struggle to keep control. Any unexpected behaviour is a bug. Any part of the game that the developer doesn’t architect, is a source for alarm. But with Illyriad, our goal is to surrender control. If we understand all the behaviours in the world, that means the world is too simple and predictable. Any part of the world that we don’t control is a potential source of wonder. In old style game development, the developer wants to plan what will happen. In Illyriad, we want the players to have a part in what happens. The recent changes to animal behaviour are an excellent example of where the game is going. What the new animal behaviors mean is that we have ceded control of where animals go, and how many of them exist. Players can reduce population sizes by over-hunting, they can reduce populations in some areas but allows others to thrive, and in future perhaps players will get the ability to influence where animals move to and perhaps even how fast they breed. Depending on how far or fast we take it, the locations of animals and the frequency of any item drops from them, will be mostly out of our control as developers. Animal item drops, if they were to be reintroduced, would be gathered not because we have made it so, but because the players have made it so. It is, after all, their game and they should be able to influence it. This means that, as developers, we have to surrender control. There is an amazing amount of complex information that goes on behind the scenes of Illyriad, creating the outcomes we see on screen as people play the game. One example is unit movement. Through most of Illyriad’s life, movement has been fairly simple. Players’ units have moved from point A to B upon their request, at a rate based on movement speed of the units themselves. Layers of complexity have been added with Diplomatic Visability, Undead armies that emerged from the Rift and now the Heart of Corruption. There is an increasing amount of movement in the world, of which much of the complex work takes place behind the scenes. For example, there is a database that currently has 1,550 variables relating to animal movement. And that doesn’t include animals’ locations in the world – that’s just the mathematics for their movement. And that is where the challenge comes in to play. How much of that information is visible to players, and how do we represent important information to them? 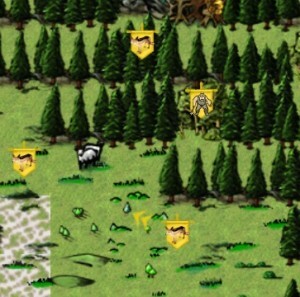 Currently in game, to see if a unit is moving on the map, or which direction it is going requires that you zoom in and observe the movement yourself. Often times though, the movement may be so slow that it isn’t easily visible. That is why the new unit movement icons have been designed. The challenge was to display direction, speed and relationship to players (hostile, friendly or neutral) in an easy-to-understand fashion that wasn’t disruptive to the landscape of the game. The solution was a set of small wing-shaped arrows that display next to individual units on the map. The number of arrows shows speed (1 = slowest, 5 = fastest), the direction they are pointing shows movement trajectory and color of the arrows (yellow = neutral, green = friendly, red = hostile) shows intention with relation to the player. This simple, elegant solution provides players with more information about the world around them and represents, visually, a complex set of data that determines these factors. The new directional icons will be available in our next game update.